Have you have heard about adding stamp to a PDF document? The word stamp to PDF is new right? It's nothing but stamping the user details to the PDF when you are about to transfer many PDF files to your partner or friends. Sometimes you may need to sign in PDF for the process of detailed information. When you transfer the file from one system to another you would want to explain the status of the PDF files. It would be difficult to mark the status in a prolonged process. Basically, stamping a PDF file is similar to stamping a paper document. For the stamping purpose you have the option to use sample stamp templates, dynamic stamps or else you can create your unique one also. We explain you the detailed process add stamp to PDF in Adobe Acrobat, the process is called "Dynamic Stamp". No more difficulties, let's see the steps carefully. However, Acrobat is expensive, if you're looking for an affordable solution, PDFelement Pro is the best choice. PDFelement ProPDFelement Pro is the professional PDF editor software. With the help of this PDF editor, you can easily add a stamp to a PDF files easily. You can also convert any format of file to PDF and convert PDF files to other file formats. This software has a newly released feature with updated mechanism to edit, convert, secure, and combine your PDF file instantly. The brand itself explains the user interface and overall result for your business. In this part, we are going to add stamp to PDF files using PDFelement Pro. It's important to add a stamp or seal to the document if at all your file has relevant information regarding projects, contracts etc. We assure you this method is completely proved and the PDF with stamp or seal is dignified necessarily. Whatever your file size may be? PDFelement Pro gives you the best answer for all your questions. It is completely safe and secured. No stranger can hack your process. Well! It is encrypted in each steps. Now choose the "Comment" toolbar at the top. It will get displayed with drop down features. From that select "Stamp". You can choose the template as per your requirement without any rules or restrictions. After that you can put of place that chosen stamp at any location of your PDF file. Now you have imported the PDF file, stamped the status of the PDF file and then save the PDF file. Whatever may be the file size, you can easily save it using PDFelement Pro. To save the stamped PDF file, visit "File" menu, then click on the "Save as" Option to save your edited PDF document. PDFelement ProPDFelement Pro gives you a detailed guidance if you have any trouble to access and the forms are created interactively. In upcoming days, the companies are highly focused on how to reduce the time management and man power. They move on to software's to increase their profit and to overcome the risk tournament. We recommend you to use iSkysoft software to convert the file into PDF and to stamp the PDF using iSkysoft tool. Edit PDF texts, images, links and pages with multiple PDF editing tools. Easily mark up and annotate a PDF file. Advanced OCR feature allows you to edit and convert scanned PDF files with ease. Add digital signature and password to PDF files for securing PDFs. Convert PDF to Word, PPT, Excel and other file formats. There are many tools to stamp your PDF. Can you assure? Do those tools are certified and interactive to customers. The answer is No! When it comes to adobe acrobat, we assure you with qualified stamping. Adobe acrobat is unique software with dynamic stamp as a main feature. Is it quite interesting? Yes! Adobe acrobat software focuses on the personalization, branding, security etc. Stamping process not only enhance the status and also responsible for protecting your PDF files. Now technology has been developed in various ways. One of the ways is to stamp your PDF file denoted authorized user license and personal information. Firstly, install and open the adobe acrobat software. Select the "File" option and open the PDF file to stamp the status. After selecting the PDF file, choose the "Comment" option and then select "Add stamp". You will get displayed with many stamp options. Choose any status as per your requirement. Adobe Acrobat is the premier tool to create and edit PDFs. It is relatively easy to do when you know what you're doing. But when it comes to adding stamps to a PDF, there are some readers who have reported a few problems. In this article we look at this problems and offer some solutions for them. If you try to add a stamp in Adobe Acrobat and you see a message that says "This document restricts some Acrobat features. To create a copy of the document that is not restricted, click Save a Copy," It may be possible that the document you're using is created with a designer that restricts commenting, including stamps. 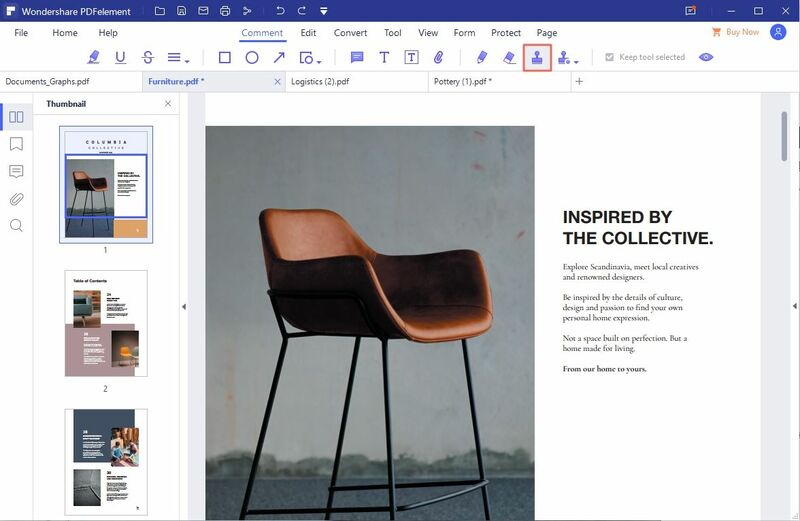 If you created stamps and then they don't display when placed on the document, you could be using an outdated version of Acrobat. Try updating Acrobat before re-adding the stamps. If this happens, go to Edit > Preferences > Commenting and make sure "Always use Log-in Name for Author Name is checked. Most people try to add a picture into a custom stamp but try to copy and paste and the custom stamp into the document. What you should do instead is to go to Comments > Comments & Markup Tools > Stamps and then select one of the options to choose your custom stamp and then use the mouse to place the stamp in place. Conversion of PDF Converts the PDF to any format. Simply converts and scans existing PDF to almost all of the formats such as word, image etc. 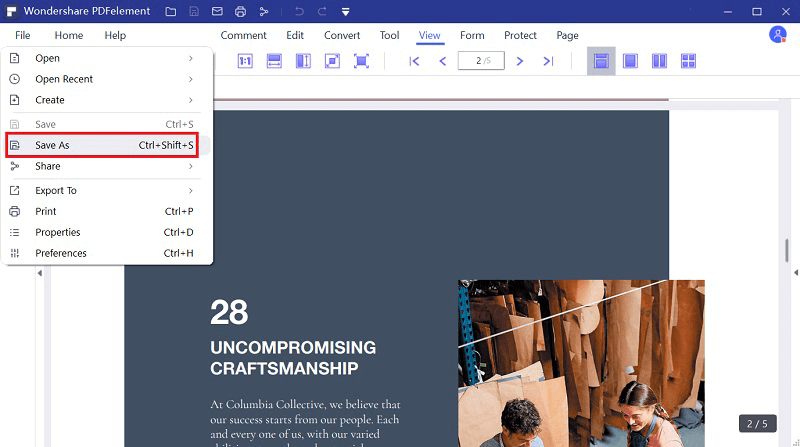 Edit PDF files OCR element is not updated in Adobe Acrobat. Editing option is available to review the scanning process of text or images. Running Speed The running speed enhances only few or half minute. Quite fast. It takes few methods to run the commands. User-Friendly The forms are user interactive and navigate easily. Equipped with user-friendly interface. Also, it troubleshoots the issue when the user fills the form. Customer Service The customer service is available at around your clock. You can contact the assistance and the complete guidance will be provided.